Properties in Ιστορικό Κέντρο average 4.3 out of 5 stars. Property 4: "CAROB STUDIO GARDEN APARTMENT" at "AVGI'S HOME"
Property 6: Restored traditional Cypriot townhouse in Limassol's historic city centre. 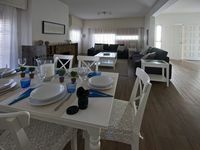 Property 9: One bedroom Apartment which sleeps 4 only 100m from one of the best beaches. Bright studio flat in downtown Limassol! Property 12: Bright studio flat in downtown Limassol! "CAROB & LEMON GARDEN APARTMENTS" at "AVGI'S HOME"
Property 19: "CAROB & LEMON GARDEN APARTMENTS" at "AVGI'S HOME"
"CAROB & OLIVE APARTMENTS" at "AVGI'S HOME"
Property 29: "CAROB & OLIVE APARTMENTS" at "AVGI'S HOME"
Stylish and spacious modern two bedroom apartment in heart of limassol. Property 42: Stylish and spacious modern two bedroom apartment in heart of limassol. Property 45: Private room (1) at prime seafront location!!! Excelent villa and excelent holidays. Great place to stay, close to supermarket, cafe, restaurants, beach, Archeological sites. We had everything we needed.